Great news! The english version of our transformation comic book is now available also as an ebook for free! 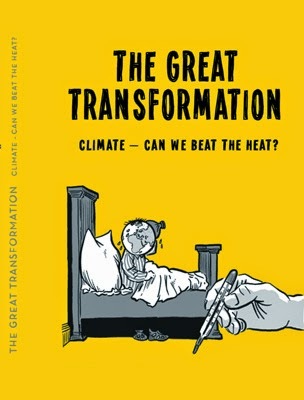 In order to support the upcoming climate conference in Lima, and the upcoming big one in Paris next year, our english Great Transformation-Climate comic-version is now -also avaible as an online-pdf via the webpage of the German Advisory Council on Global Change. Thanks to WBGU for supporting this. And by the way, you may still order your free paperback version as well. Any feedback is highly welcome. Enjoy and help transforming !